Transform your “old-school” analog classroom into a state-of-the-art digital classroom. Students simply fit the Pupil Cam over the eyepiece of any microscope, plug the USB cable into their computer and it instantly gives them the power to deliver crisp live microscopic images right to their computer monitor at 640 x 480 full screen or VGA resolution. Using the imaging software they can then capture still images of specimens, capture multiple images and save to a gallery, print images for use as study aids, record movies (at 30 fps) that can be streamed to fellow students or uploaded to the school website, and more. 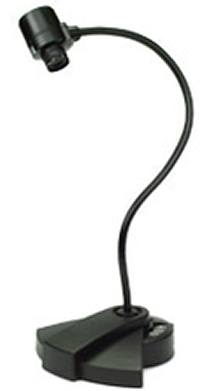 You can also use the video cable to connect the camera to the video-in outlet on your TV so that all students in your classroom can see demonstrations. 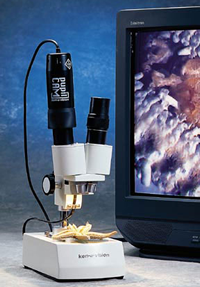 provides a secure and precise alignment to your microscope or stereoscope. 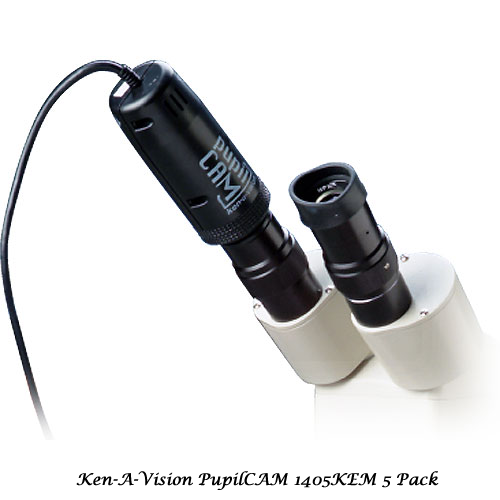 The Ken-A-Vision 1401KRM MegaPixel PupilCam is a high resolution 1/3" CMOS powered microscope camera. 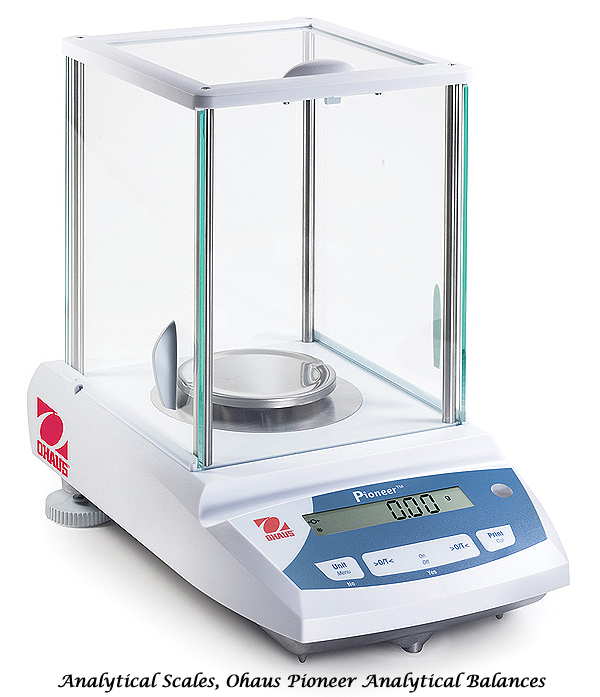 The camera is designed specifically to connect directly to a microscope or stereoscope of your chosing, for a secure fit and accurate picture. Images are output through a standard USB or USB 2.0 interface to any Windows based computer, making it highly compatible with existing school equipment. The MegaPixel PupilCam is capable of displaying images at SXGA resolution. This high level of detail can be very useful for observing even the most intricate nuances. 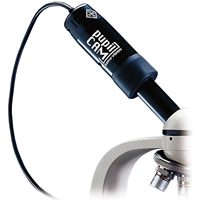 All you need is a USB connection and the PupilCam is ready to start showing all your specimens up close right on your computer screen, with pinpoint accuracy. The camera's all-in-one design ensures no important piece gets lost, coming attached with a hefty 5' USB cable.